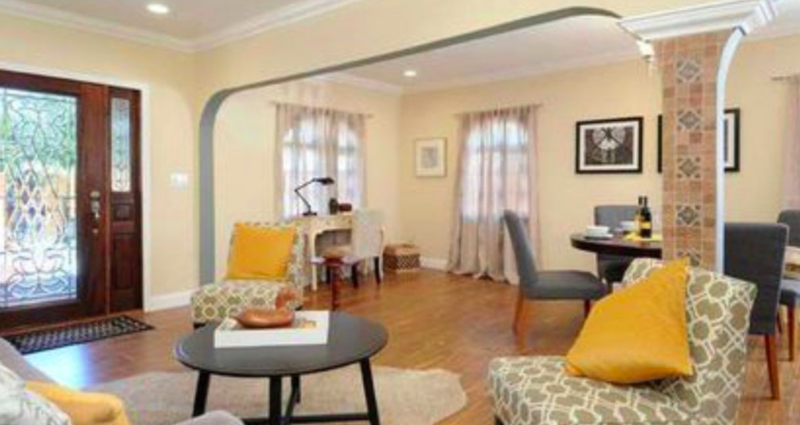 Extensively remodeled home in the heart of hip Highland Park. Upgrades include AC, an open floor plan, skylights, LED recessed lights, a custom kitchen with stainless steel appliances. Master BR features a spacious walk-in closet & travertine tiled bath. Gated back entrance with 2 parking spaces. Conveniently located minutes to the Highland Park Gold Line, shops and eateries on Figueroa and DTLA. This was originally used as duplex from the previous owner and has been converted to its original use as a SFR. Please read attached report as a supplement to this listing. Garage could be converted into a separate unit as part of the new ADU (accessory dwelling unit) Laws. Prefer Text and Emails. Beautiful brand new showplace homes at River Court Three, a collection of 3 single-family homes in possibly the hippest area in LA, Frog Town! 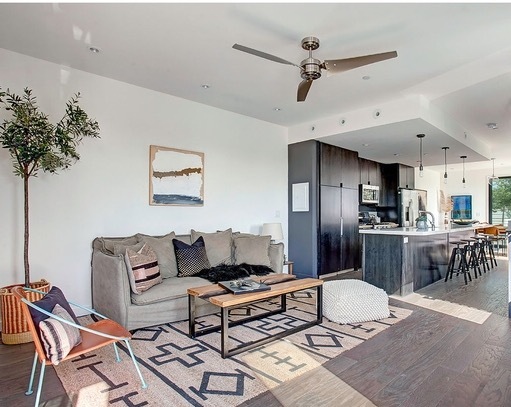 The entertainer's open layout features wood floors throughout, high ceilings and large windows for abundant natural light with seamless flow to the eat-in kitchen with custom cabinetry, over-sized range and dining area. Upstairs are 3 bedrooms, 2 baths including the spacious Master Suite w/vaulted ceilings, a private patio, custom over-sized sliding door leading the the freshly tiled bath with dual sinks and huge walk-in closet. Outside is a beautifully landscaped and fenced yard with succulents ready for dining al fresco. Welcome home! 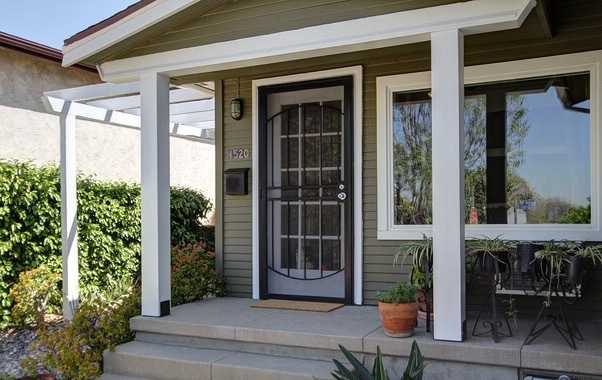 This 1922 Craftsman cottage embodies adjectives like adorable, sweet, and charming. The freshly painted interior provides a crisp white primer for your dreams of home ownership in this north of York neighborhood. Move right in and enjoy life, or make whatever changes you have on your Craftsman Pinterest board. When you stroll out to the covered patio in the large backyard, you will find a great place to dine al fresco or just sip your lemonade on a lazy afternoon, and a gardener's sunny open space beyond. The garage makes a wonderful bright studio for an artist or musician, or use it for its original function - your choice. 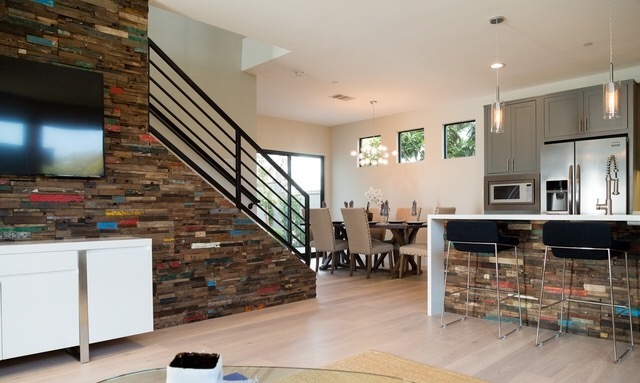 A collection of 6 brand new single family homes by LivingHomes located along one of LA's best walkable streets in the heart of Atwater Village. All the large 3 bedrooms and 3 full baths are flooded with natural light from over-size windows, skylights and solar tubes. Small yard and 200 square feet of outdoor deck space! This is the location you want- close to downtown while giving you easy access to our Farmers market, cafes, restaurants, Griffith Park and the bike paths along the LA River! Sealed concrete flooring downstairs and wood floors throughout on the second and third level creates warmth and beauty in these LivingHomes. 3-panel wall of glass opens to the huge balcony giving you the best in SoCal indoor/outdoor living! 2- car garage and all stainless steel appliances included.